Distinguished cadets from different Latin American Air Force academies listen to U.S. fighter pilots speak about mission procedure at the 309th Fighter Squadron operations desk Oct. 31, 2018, at Luke Air Force Base, Ariz. The group was composed of the top two cadets from each of various Latin American air service academies from countries including Mexico, Brazil and Colombia. 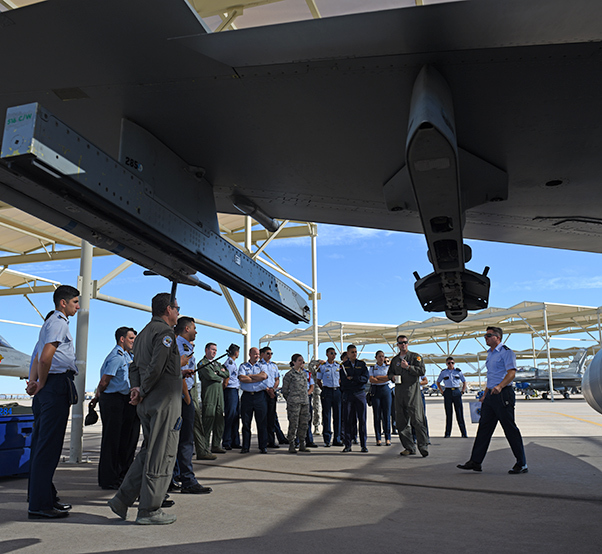 A group of distinguished cadets from the air service academies of several Latin American countries visited Luke Air Force Base, Ariz., Oct. 31, 2018, as part of the Department of Defense Latin American Cadet Initiative program. 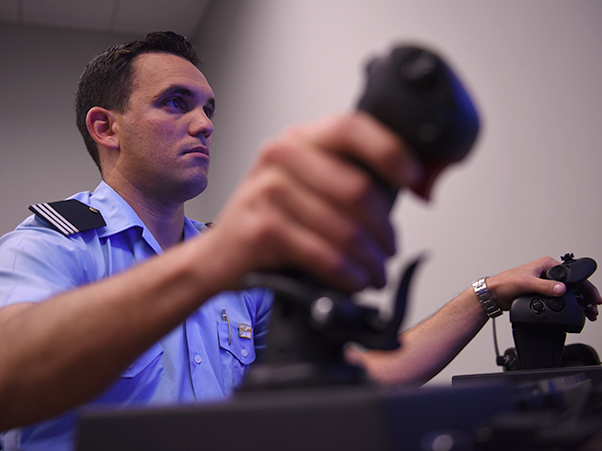 A cadet from a Latin American service academy flies an F-35A Lightning II simulator in the F-35 Academic Training Center Oct. 31, 2018, at Luke Air Force Base, Ariz. Cadets visiting Luke as a part of the Department of Defense Latin American Cadet Initiative program had the opportunity to fly simulators, walk the flightline, and speak to U.S. Air Force officers about their experiences. 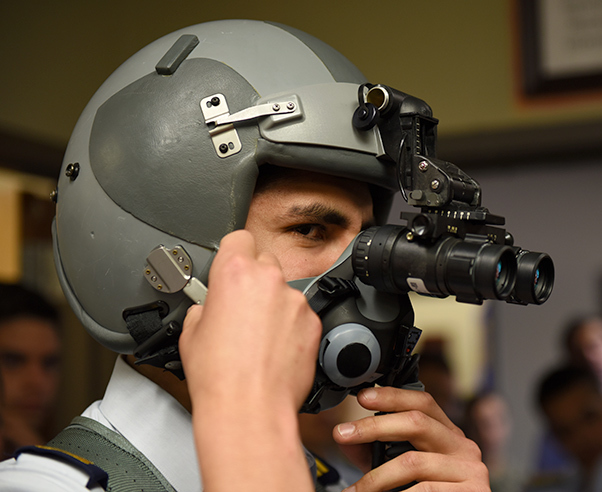 A cadet from a Latin American air service academy tries on an F-16 fighter pilot’s helmet with night vision goggles Oct. 31, 2018, at Luke Air Force Base, Ariz. Cadets from air service academies across South America visited Luke as part of the Department of Defense Latin American Cadet Initiative. “This program is building lasting impressions and relationships with neighboring countries and militaries,” Mejias said. 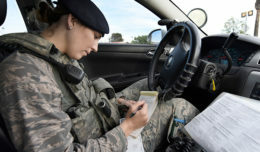 “Anytime we get to show others what the United States Air Force is truly about and build those bonds with future leaders, it is truly a win and a benefit to not only the Air Force and DOD, but our nation. 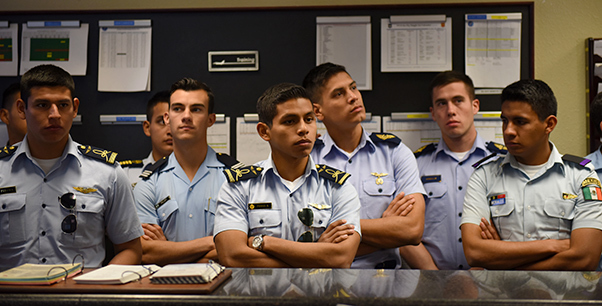 Distinguished cadets from different Latin American Air Force academies visit Luke Air Force Base, Ariz., as a part of the Department of Defense Latin American Cadet Initiative Oct. 31, 2018. 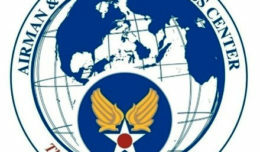 The LACI program allows the top two cadets from each of various Latin American air service academies from countries including Mexico, Brazil and Colombia, to tour U.S. Air Force bases and missions in order to immerse them in U.S. military culture and establish relationships. 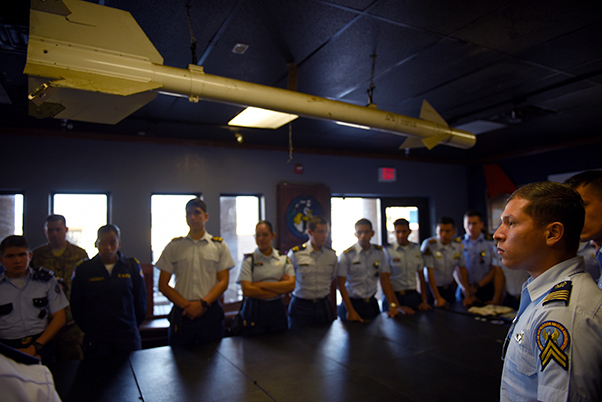 Distinguished cadets from different Latin American Air Force academies gather in the heritage room of the 309th Fighter Squadron to listen to U.S. fighter pilots speak about their experiences Oct. 31, 2018, at Luke Air Force Base, Ariz. Luke was one of several base visits the cadets made on their cross-country tour, a part of the Department of Defense Latin American Cadet Initiative. 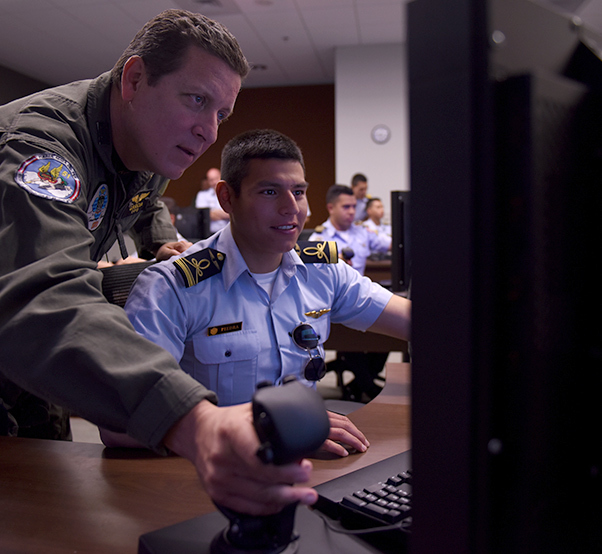 A South American fighter pilot and liaison to the U.S. Air Force shows a cadet from a Latin American service academy proper stick control on an F-35A Lightning II simulator Oct. 31, 2018, at Luke Air Force Base, Ariz. The top two cadets from each of various Latin American air service academies visited Luke as a part of the Department of Defense Latin American Cadet Initiative program. 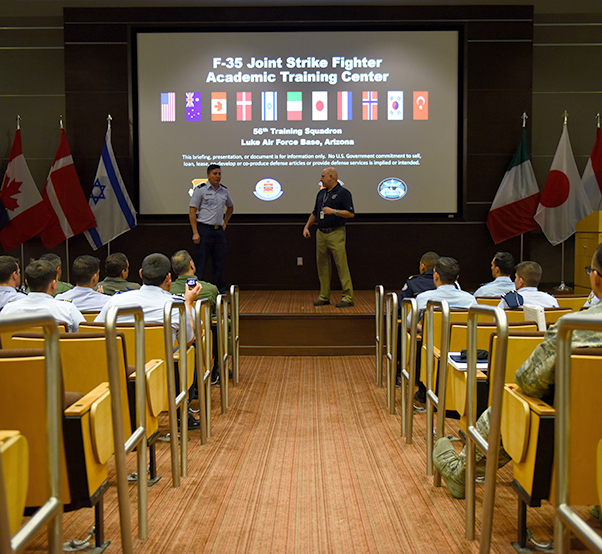 Distinguished cadets from different Latin American Air Force academies receive a brief on the mission of the F-35 Academic Training Center Oct. 31, 2018, at Luke Air Force Base, Ariz. The cadets, the top two from each of their respective nation’s air service academies, visited Luke as part of the Department of Defense Latin American Cadet Initiative program, which takes the cadets on tours through bases across the country. 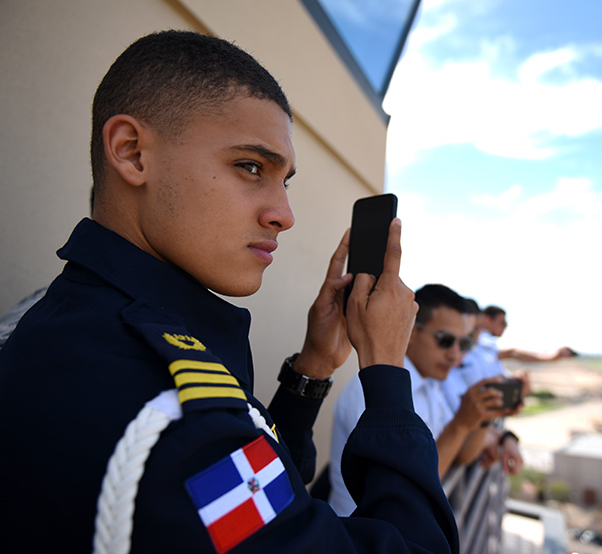 Gean Louis Torres Herrera, Dominican Air Force cadet and class leader, takes photos of the view from the balcony of the air traffic control tower Oct. 31, 2018, at Luke Air Force Base, Ariz. Torres Herrera is one of a group of the top two cadets from each of various Latin American air service academies from countries including Mexico, Brazil, and Colombia, who are touring U.S. bases as a part of the Department of Defense Latin American Cadet Initiative.